We all know that HDR Images produce superior reflections when used as environment maps. However a lot of HDRIs are supplied in formats that are not specifically shaped to be optimal for spherical mapping. They often are created using the popular probe method, or alternatively, you might have some that have been generated using the cross method. You can see an example of such formats below. Well luckily for us, Cinema4D comes with some tools to take these formats and convert them into the more usable spherical map. If you go to the Render Menu and scroll down, you’ll see two entries. Well it is really as simple as selecting the command, then choosing the appropriate HDRI. 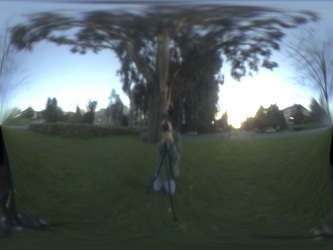 Cinema will then perform the conversion and resave the HDRI in the same directory. 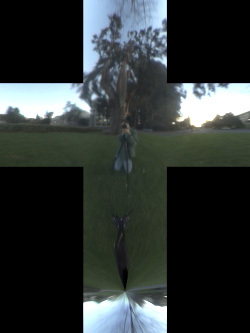 The Filename will have the addition of _con to show you that this is the converted file. You really made my day. Thanks! 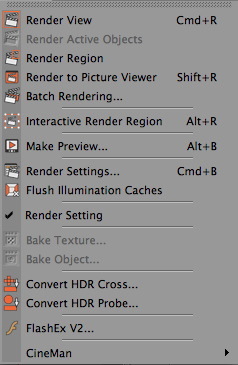 HI Thanks for the info – I’m on R13 and the render menu, it does not show these two conversion methods (Convert HDR Cross… or Convert HDR Probe). I tried to use the sky obj and the sphere obj and loaded my image material. Everything was skewed, so it didn’t work. I want to create a background so my objects would appear more natural-ized. 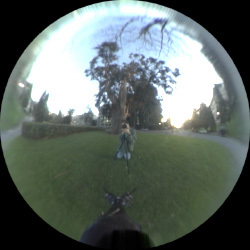 Where do I find these components to build a HDRI in R13? …. I use 3DS Max. Is there any other way you know how to do this ? Is there a third party converter ? Or maybe in Photoshop ? Tim is currently in Singapore teaching a C4D Master Class so he won’t be able to respond to you until next week, hang tight! Unfortunately I don’t know if this is possible in Max, I did find a guy that has used the Nuke spherical node to convert HDRs, if you have Nuke might be worth a try.